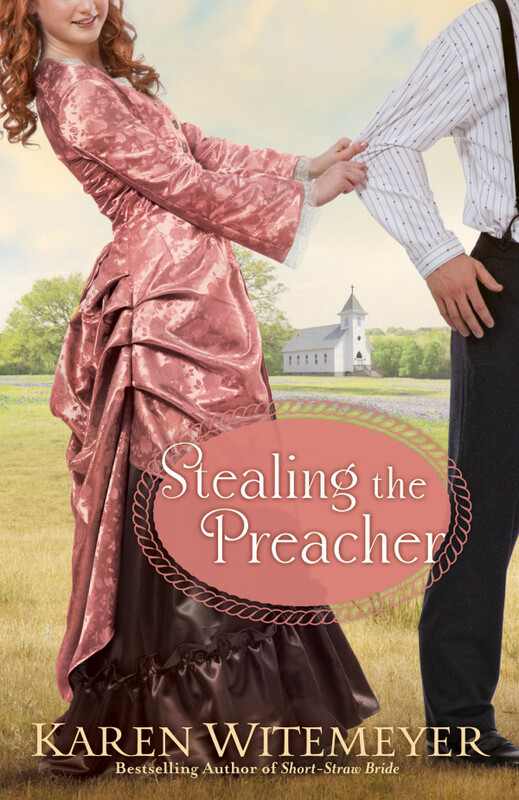 Karen Witemeyer’s Stealing the Preacher is a western romance set in Texas in 1885. To be honest, when I began the book I thought it was somewhat ridiculous. I thought that the plot was completely defying credibility. I believed that the pastor, Crockett Archer was too perfect to be true. I thought that the rancher-kidnapper, Silas Robbins was an ill-tempered, cantankerous man. His daughter Joanna seemed like a spineless, shy young woman who let life happen to her. However, as I read on, I began to change my mind. Pastor Archer turned out to be an amazing man of God who could preach powerful sermons but was also at home working as a cowhand. Silas Robbins actually was a loving father who turned out to be a man of great integrity. Joanna Robbins was a delicate looking young woman who had a spine of steel. Witemeyer drew the characters together into a book that was enjoyable. The secondary characters were fleshed out well, too. The area’s prominent spoiled young woman, Holly Brewster, was beautiful and absolutely awful. I have known women like this before. I loved the ranch hands that worked for Silas – Jasper, Carl and Frank. They were intensely loyal and protective toward both Silas and his daughter. Miss Bessie was a seemingly cold, anti-social woman who proved to be the opposite. And the irrepressible Jackson was a delight. In retrospect after completing the book, I would say that it is a good story. I seemed to attach to the characters; but the plot was also excellent. Just keep reading. Do not stop after the first chapters. Finishing the book is definitely worthwhile. A cowboy who wants to be a preacher. An outlaw's daughter who wants to change his mind. On his way to interview for a position at a church in the Piney Woods of Texas, Crockett Archer can't believe it when he's forced off the train by an outlaw and presented to the man's daughter as the preacher she requested for her birthday. He's determined to escape-which would be much easier if he could stop thinking about Joanna Robbins and her unexpected request. For months, Joanna had prayed for a minister. A man to breathe life back into the abandoned church at the heart of her community. A man to assist her in fulfilling a promise to her dying mother. But just when it seems her prayers have been answered, it turns out the parson is there against his will and has dreams of his own calling him elsewhere. Is there any way she can convince Crockett he ended up right where he was supposed to be? With her signature blend of humor, history, and lively western romance, two-time RITA Award finalist and bestselling author Karen Witemeyer delivers a Texas love story sure to steal your heart. Two-time RITA finalist and winner of the coveted HOLT Medallion and ACFW Carol Award, CBA bestselling author Karen Witemeyer writes historical romance because she believes that the world needs more happily-ever-afters. She is an avid cross-stitcher, shower singer, and bakes a mean apple cobbler. Karen makes her home in Abilene, Texas, with her husband and three children. 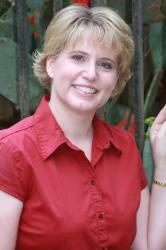 Learn more about Karen and her books at www.karenwitemeyer.com. Karen Witemeyer is "kindling" the excitement for Stealing the Preacher (Bethany House) with a Kindle Fire Giveaway and connecting with readers at her June 18th Facebook Author Chat Party! Enter today by clicking one of the icons below. But hurry, the giveaway ends at 4pm on June 18th. Winner will be announced at the "Stealing the Preacher" Facebook Author Chat Party on June 18th. Connect with Karen for an evening of book chat, trivia, laughter, and more! Karen will also share an exclusive look at her next book and give away books and other fun prizes throughout the evening. Don't miss a moment of the fun; RSVP today. Tell your friends via FACEBOOK or TWITTER and increase your chances of winning. Hope to see you on the 18th!